Dr M.M. Dadras, is currently head of Microscopy and nanoscopy facilities at CSEM SA, Neuchâtel, Switzerland. M.M Dadras received his his Ph.D. at the University of Orsay, France in 1990. He has over 20 years experiences in Material Science and Electron Microscopy working initially at Institute of Structural Metallurgy of the University of Neuchâtel, Swissmetal, Institute of Microtechnology (IMT) at the University of Neuchâtel. In April 2008, after restructuring of IMT and transfer of microscopy section to CSEM, he became head of Microscopy and nanoscopy facilities in CSEM. His research activities are focused on microstructural studies and the relation of microstructure to the properties. Presently, his research activities are oriented towards the microstructural study and the improvement of properties of thin layers used in microfabricated sensors, actuators and microsystems. 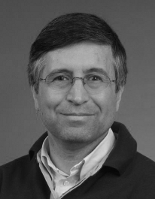 Dr Sousan Abolhassani, Responsible for the Electron Microscopy at Paul Scherrer Institute, Switzerland. Sousan Abolhassani received her B.Sc. Degree from University of Surry in UK .Sc. In Materials Science and Technology in 1979. She continued her studies at the National Institute of Nuclear Science and Technology (I.N.S.T.N.) where she obtained her D.E.A (Diplôme d’Étude Approfondies) in 1987. She received her Ph.D. in Material Science and Solid State Chemistry. 1991 from Laboratoire de Chimie Appliquée de l'Etat Solide, École Nationale Supérieure de Chimie de Paris, and Université d’Orsay, France. She then started research in electron microscopy with the specialisation in Electron Energy Loss Spectroscopy at the University of Lausanne, in collaboration with the Centre of Electron Microscopy. In 1998, she changed to Paul Scherrer Institute where she is Responsible for the Electron Microscopy. 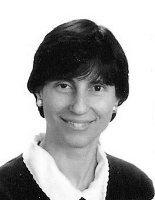 She has a long teaching experience in the field of Electron microscopy (University of Lausanne), TEM and HRTEM image simulation and EELS and its application in microtechnology (University of Neuchâtel). In the field of micro-fabrication, objects are becoming increasingly smaller and even approaching nano scale size. On the other hand it is well established that macro properties are based on atomic scale behavior of materials. In development and reliability domains, the need exists to conduct analyses at the micro and nanometer scale. This is indeed a challenge. Furthermore, while there exist more than ten highly precise methods of nano-analysis available commercially, none of them can be considered as a universal tool for analysis. The goal of this course is to present different methods of nano-analysis, the capabilities of each method and their limitations. With that, offer to the analyst, a vision to select the right method for their particular problems. The course is structured to support those involved in the reliability and failure analysis of the materials and devices in the field of microtechnology, watch industries, development of new materials and to those who are dealing with characterization of such products. Furthermore, the course will appeal to scientists, encountering situations where the causes of a phenomenon are not clear and deeper understanding is to be searched. Advantages and limitations of each technique (lateral resolution, depth resolution, limits of detection).